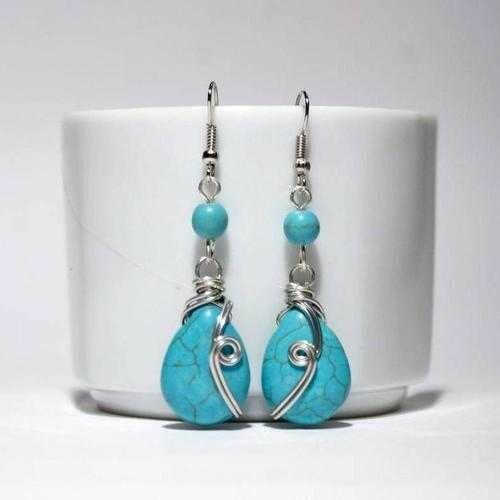 Turquoise dangle drop earring, turquoise jewelry, turquoise stone dangle earrings, handmade wire wrapped jewelry, natural stone turquoise earrings, turquoise silver earrings. These turquoise dangle drop earrings are simply stunning and perfect for livening up an everyday outfit. Turquoise Earrings are coated with a durable clear non-toxic polymer to prevent tarnishing and oxidation formation.